A lot of users are still waiting for an official update to Android 4.0, the Android 4.1 Jelly Bean OS is the OS in town that everyone wants to hang out with. With the current track record of the slow ICS rollout by device manufacturers and carriers, we can only hope and pray to the Android gods that the Jelly Bean update will be available a lot sooner. Until then, the first devices to receive the update to the latest iteration of the Android OS will be the Samsung Galaxy Nexus, the Google Nexus S, and the Motorola Xoom tablet. If you own a Galaxy Nexus S and can’t wait for the official update, XDA Senior Member legolas93 has the solution for you. 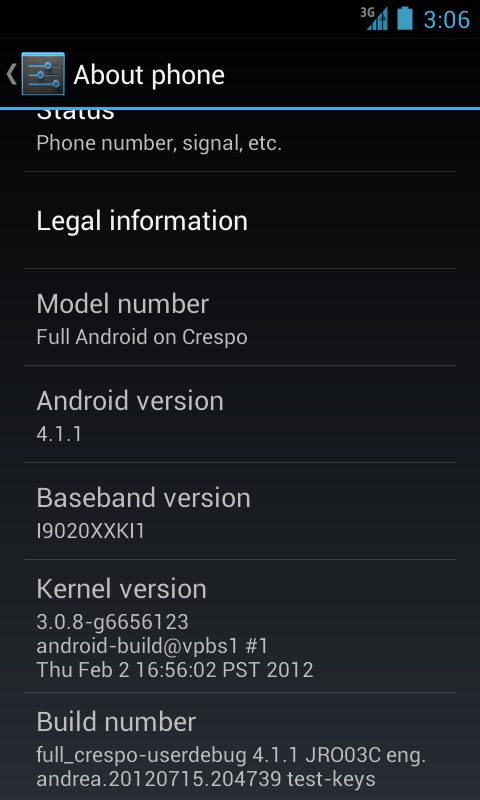 Thanks to the developer’s hard work, an Android 4.1.1 AOSP ROM is now available for the Nexus S. We don’t have detailed information about the functionality of this ROM except for “All Work” mention, which is good news. The current changelog for release 2 is also sparse – it only says that the Camera app and Tethering have both been fixed. Before going forward, remember that there is always a risk when attempting to root and flash a custom ROM onto your device! Some technical knowledge is recommended as anything going wrong will, more often than not, leave you with a bricked device. You can head on over to the original thread here to find full download and installation instructions. What are your thoughts? Will you be trying out the Jelly Bean ROM for the Nexus S? If you have done so already, let us know more details about your experience in the comments section below.